Senecio haworthii (Senecio haworthii): growing, planting, caring. A dwarf shrub, with upright white leaves ! 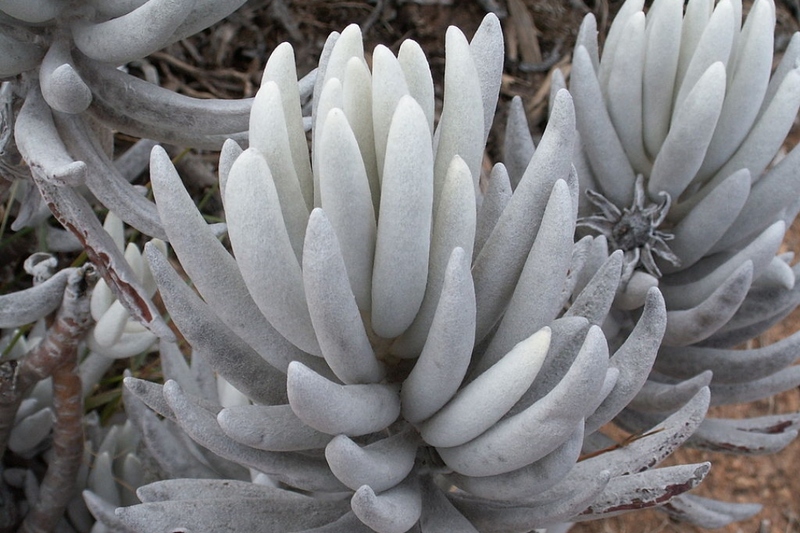 Senecio haworthii is a perennial, succulent shrub up to 1 foot (30 cm) tall with stunningly attractive upright cylindrical succulent leaves with fine white hairs covering all surfaces of the leaves. It produces bright yellow flowers on a short terminal inflorescence. The senecio fits pretty well inside our homes and apartments. It needs light - ideally sunshine for several hours a day - and a rather poor and well-drained substrate. Senecio doesn't like moist, and it's water needs are pretty limited — it stores everything it needs inside it's thick leaves! During growth seasons (spring, summer), watering should be regular, about once a week, but controlled, to make sure the roots don't drown. In autumn, gradually reduce watering until winter, when once-monthly watering will suffice. Never ! Your senecio likes poor soils, really! You can easily make cuttings of your senecio, to have more pot or to offer! The cuttings are taken from May to August, during the growing season. Fragments should be at least 3 knots in length and have some leaves. Let the cuttings heal 2-3 days before burying them to prevent rotting of the wound in contact with the soil. Then lay them flat, nodes lightly buried in the moistened substrate, with the leaves on top, or 2 nodes without leaf buried, and the rest with the leaves protruding. The recovery is generally carried out in about ten days at 25 ° C.
Your senecio is not very sensitive to diseases, except when it is over watered - it is especially sensitive to water, which makes its roots rot. Do not hesitate to bring out your senecio for the summer! Just avoid placing it directly in the sun right away - acclimatize it gently, and of course, watch the watering! You will shelter it at the end of the summer. Put your senecio inside before the first cool nights, in a fairly bright situation. You will water it once a month in winter. Keep it in a cool room if possible: it is a cool winter rest period - less than 15 ° C - and a significant brightness that condition the bloom, that takes place at the end of winter.